The leaves may have turned, but you will still see some green with our Late Maine Fall Foliage package. 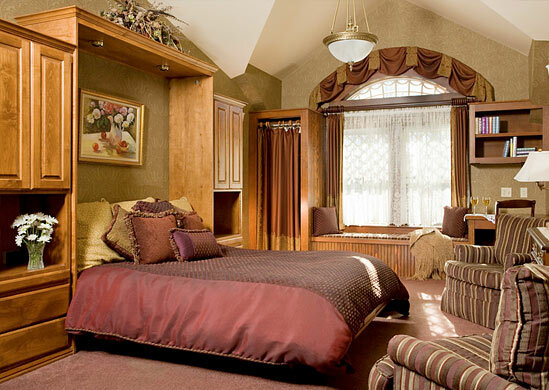 A rich gem tone palette of aubergine and gold dominate this spacious and unique carriage house room at our Rockland / Camden accommodations. The room features a dramatic cathedral ceiling that radiates from the original cupola that rises twenty-five feet in the center of the room. A built-in desk and window seat frame the original Palladian windows that overlook the perennial gardens below. 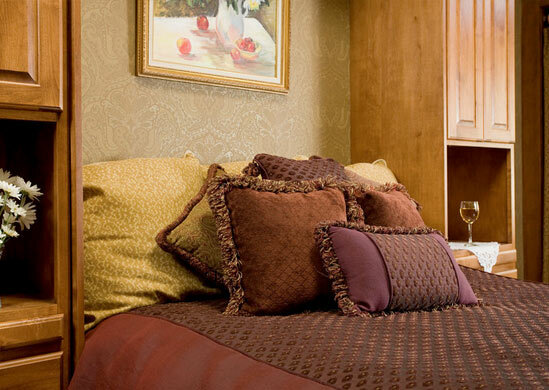 Rich mahogany cabinetry houses a custom-made queen sized Murphy bed with custom mattress. 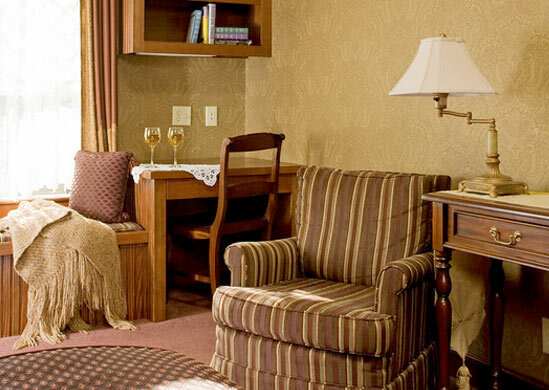 A pair of comfortable easy chairs, air conditioning, working fireplace and a flat screen television make this room at our Rockland, ME lodging complete. The private bath features a custom 2-person body jet shower.